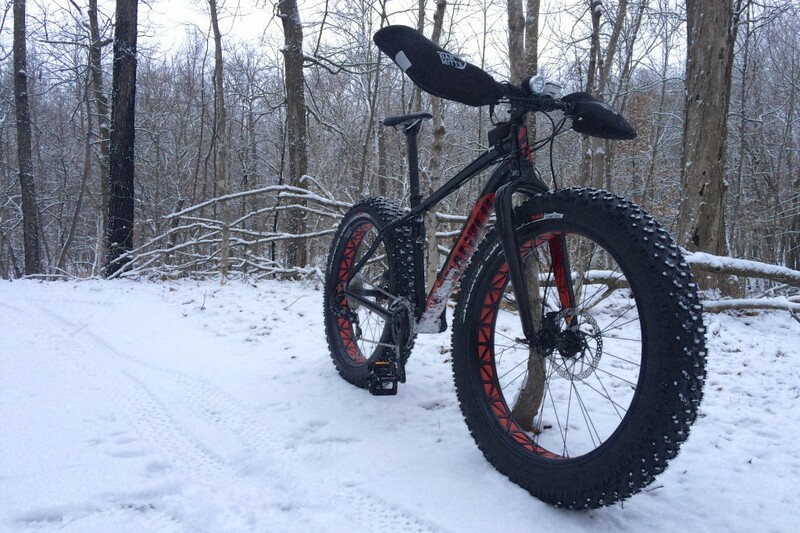 I have been nonchalantly looking at fat bikes over the past two years, since moving to Minnesota, but had not gotten serious about it. I was concerned I wouldn’t get my use out of it due to the short winter days and figured the winter was a good break to prevent burnout anyways. After the Chequamegon and the Red Wing Classic, I still was not ready to hang up cycling for the year. As the days shortened I picked up a new trainer and then a set of lights for my first night ride. The “burnout” excuse was no longer valid, I could not get enough of the bike. 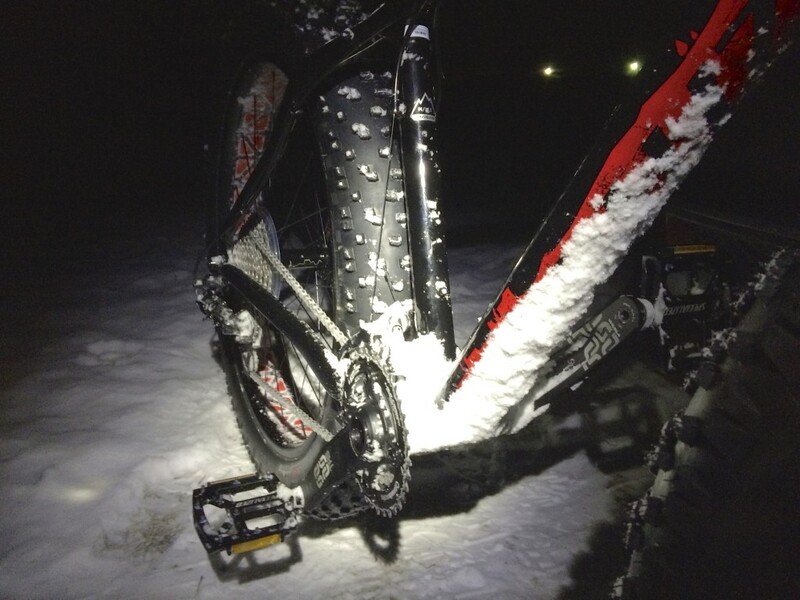 It was that first night ride that completely changed my thoughts on getting my first fat bike. I can’t tell you exactly what it is, whether it is the focus on the trail, quietness of nature, or coolness of the night that makes night riding a completely new mountain biking experience. 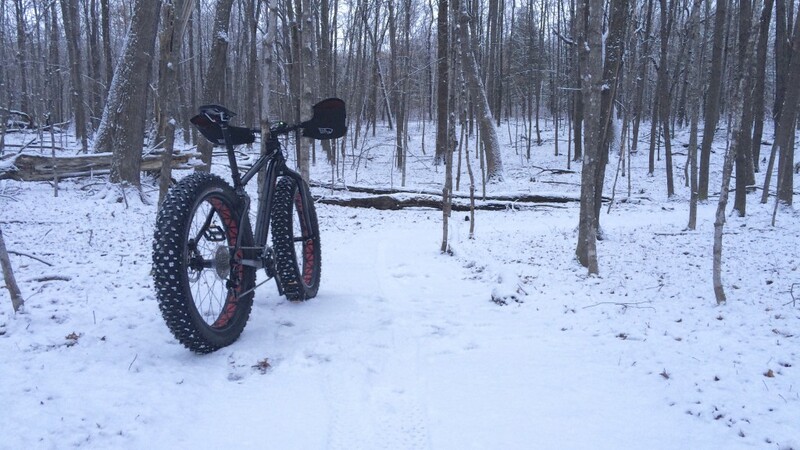 It was on that ride, that I realized I would definitely get my use out of a fat bike and the word “burnout” was not in my cycling dictionary. The fact that I was going to miss the Solstice Chase that was only 40 minutes away, drove me nuts. I ended up picking up my new Specialized Fatboy that same day. It’s only December and the winters are very long here in Minnesota. I took up cross country skiing toward the end of last year, which I truly enjoyed and will continue to do. That being said, I have grown a passion for bicycles that I cannot explain. 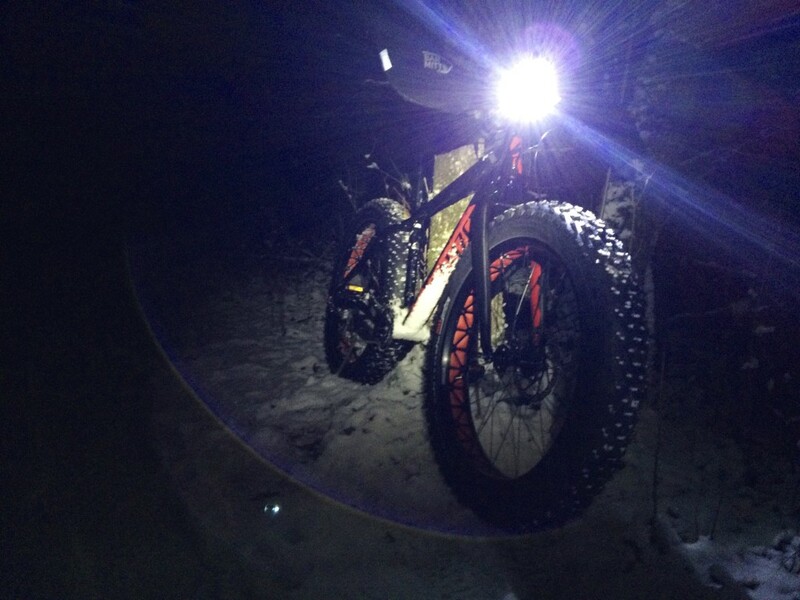 Riding the trail in the night added an additional dimension to cycling that I had not experienced before, and until now, I could only imagine what fat biking would be like night or day. Now, I don’t have to imagine. EDITED: Updated with better photos taken during my next ride out and a link to the trail system that I took my first fat bike ride on.